D’Vine is the first major collaboration of the Rock Vandals and represents their territorial expansion to the North side of Twillingate. 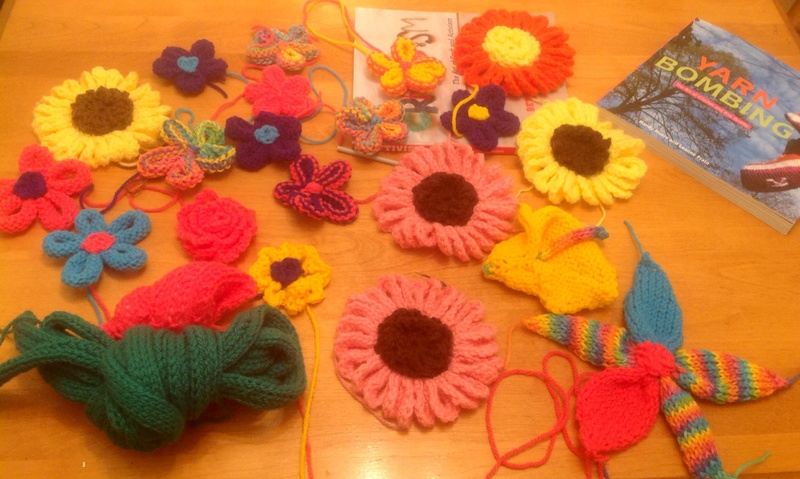 It includes 20 flowers in five varieties, some knit, some crocheted, all stitched with love. It can be seen at the post office during day light hours, free of charge. It appeared overnight, as if by magic for Blue Monday, January 2015. 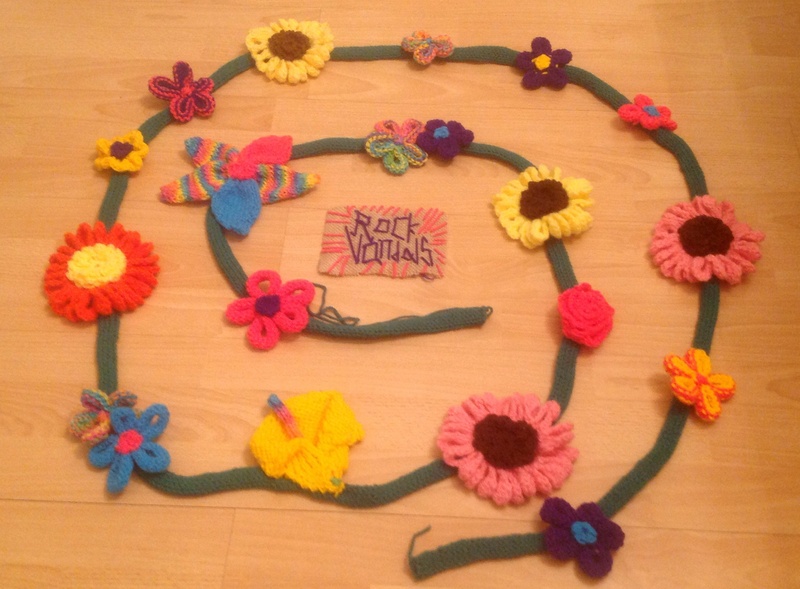 Parts of what will finally become D’vine, a knitted yarn bomb vine with knitted and crocheted flowers attached. I so enjoyed meeting you today. 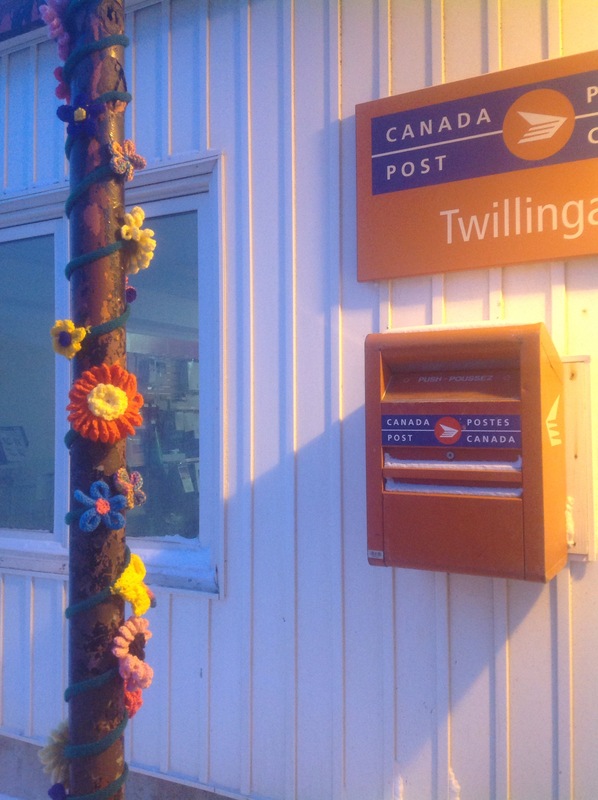 I admire your craftivism, your interest in the Manolis L. problem and your backpacking plans. I am not into knitting or crochet in a significant way but as a former math teacher your star fish reminded me of something I had read a few years ago. It was believed by mathematicians to be impossible to construct physical models of certain hyperbolic forms in advanced mathematics. 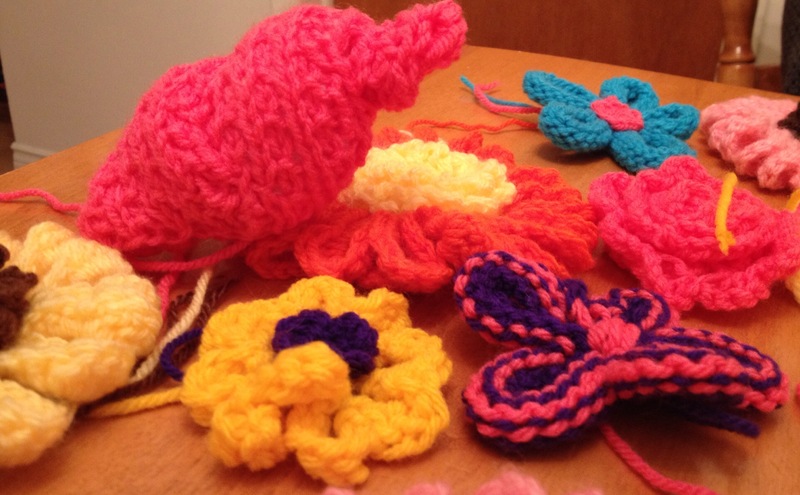 That is, until a mathematician at Cornell was able to construct them by crocheting marine organisms such as corals, kelp, etc which embody these forms. Deep sea corals reside in the cold, darker parts of the ocean off Newfoundland and Labrador. They could possibly be harmed by an oil spill. 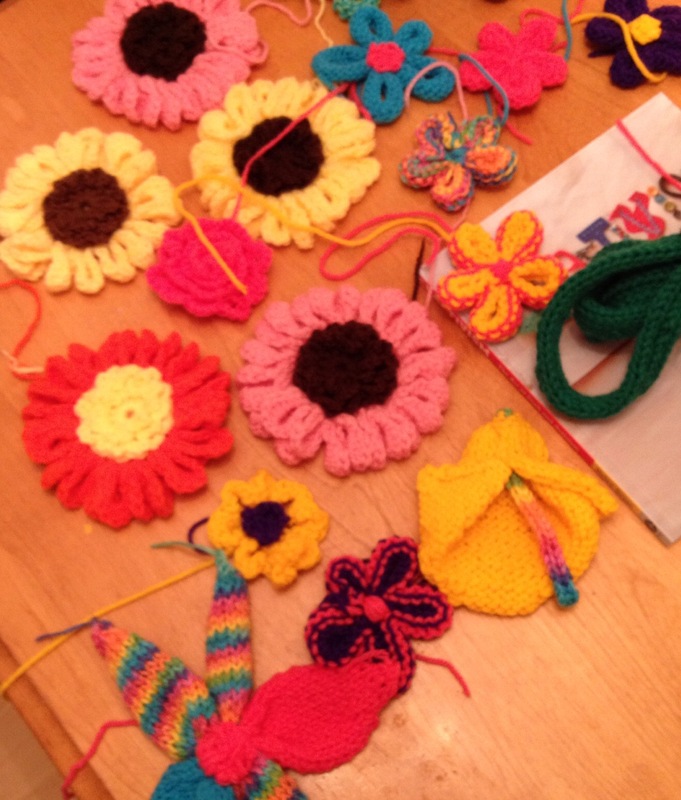 If I could knit well I would try to do some for you but there is information online. All the best in your travels. I enjoyed your blog. Be sure to keep me posted on Buddys adventures!